You might recall biological anthropologist Helen Fisher‘s work from this fascinating discussion of how antidepressants impact the experience of romantic love. That’s just one of a myriad equally fascinating facets of love Fisher dissects in Why We Love: The Nature and Chemistry of Romantic Love — a journey into the mind’s blend of neurochemistry and storytelling, the hormones and neurotransmitters that make us feel certain emotions, and the stories we choose to tell ourselves about those emotions. Fisher outlines the three key components of love, each involving different but connected brain systems — lust, driven by androgens and estrogens, the craving for sexual gratification; attraction, characterized by high dopamine and norepinephrine levels and low serotonin, euphoria when things are going well and terrible mood swings when they’re not, focused attention, obsessive thinking, and intense craving for the individual; and attachment, commandeered by the hormones oxytocin and vasopressin and associated with the sense of calm, peace, and stability one feels with a long-term partner — and brings a researcher’s lens to fundamental questions about passion and obsession, joy and jealousy, monogamy and divorce. 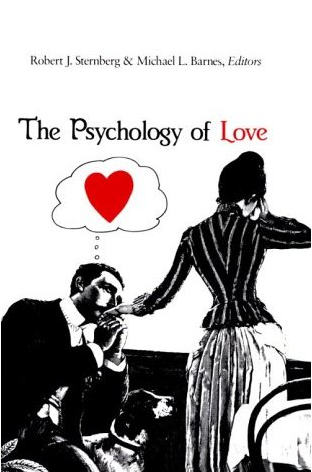 Originally written in 1988, The Psychology of Love is an anthology of 16 academic, though highly readable, papers dissecting various aspects of love. The collection is divided into five parts, each focusing on a specific facet of understanding love, from global theories that explain the phenomenon, to the psychology of relationship maintenance, to a critical overview of the field of love research. Have you ever encountered a couple with disproportionately unequal attraction levels, only to find yourself thinking that the less-attractive person “must be really funny” or “is probably some sort of genius” or some other rational explanation of the seemingly mismatched pairing? In Falling in Love: Why We Choose the Lovers We Choose, social psychologist and researcher Ayala Malach Pines tackles this and many other mysteries of the psychology of mate selection through a masterfully woven mesh of social and clinical approaches to understanding romance. 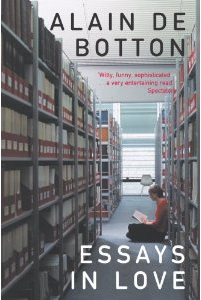 The book extracts its key insights from three case studies: An interview-based study of 100 romantic relationships, a cross-cultural, data-driven juxtaposition of American and Israeli accounts of falling in love, and another interview series of 100 couples examining their reasons for falling in love in the context of turmoil later in the relationship. From whether proximity is the hidden matchmaker of true romance to how conscious choices increase the likelihood of finding “true love,” Falling in Love is deeply fascinating yet warmly written, devoid of the hollow ring of academic pontification without compromising the rigor of the research or the depth of its conclusions. Besides having a cover the epitome of design’s capacity for communicating powerful concepts with brilliant visual simplicity, A General Theory of Love by psychologists Thomas Lewis, Fari Amini, and Richard Lannon is also a first-of-its-kind synthesis of research and poeticism, bringing a social science eye to the natural history of the grandest emotion. 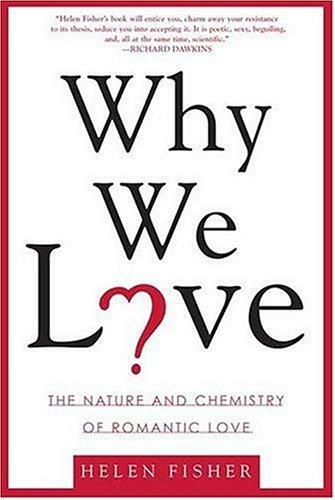 Eloquent and eye-opening, A General Theory of Love illuminates “hard science” findings across brain function and neurochemistry though a humanistic prism that offers a richer, deeper understanding of the heart’s will.